I won a copy of this book from fellow writer and blogger, Rosi, over at her fantastic blogging home, THE WRITE STUFF. Check it out and some day you may win, too! 1. What is wrong with the stepfather, Caleb? (We suspect PTSD from his soldier days or another form of mental illness.) I detested him immediately and hated what he was doing to this family. 2. Why does the Mom blindly follow this man not seeing how he is endangering the children? 3. Where did little adopted sister, Kit, come from? It’s only explained she showed up in a pumpkin patch one day. 4. Is it possible for one person to convince others his decisions are going to save their lives, even though what he says is far from plausible? How does a person become so controlling? Not every one of these points are covered by the last page so they are ripe for debate. The most pressing question though is what happens to this family in the future? Too many unanswered pieces as I closed the book for the last time. FULL PLOT (From Amazon): The signs are everywhere, Jory’s stepfather, Caleb, says. Red leaves in the springtime. Pages torn from a library book. All the fish in an aquarium facing the same way. A cracked egg with twin yolks. Everywhere and anywhere. And because of them, Jory’s life is far from ordinary. He must follow a very specific set of rules: don’t trust anyone outside the family, have your work boots at the ready just in case, and always, always watch out for the signs. The end is coming, and they must be prepared. Jory is the hero of this story. Willing to question despite his conscience telling him it is wrong to do so. In the end he is more adult than any of the adults in the story. Jory’s friend, Alice. She was such a breath of fresh air and exactly what Jory needed when he was away from his bordering on abusive family situation. Alice is the kind of kid who initiates conversation and is curious abut the unknown. I’d read a book with her as the protagonist for sure. If you are tired of the same old storyline in MG, this book is for you. There’s nothing quite like it on the bookshelf. There is racial diversity from Jory’s new friend to his little sister with the olive skin. It’s not a central theme to the story but that’s the way it should be in a tale like this. The cover does draw you into the mystery ahead. Each image serves as a hint to the story inside. Well done. FAVORITE LINES: Most kids had friends they hung out with after school. Most kids had mothers who left the house more than every couple of weeks. Most kids had siblings who spoke. And Jory never asked, but he was sure nobody had step-dads who constantly talked about signs. 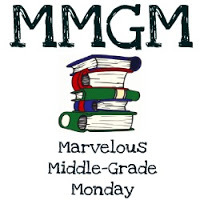 This entry was posted in Reviews and tagged Kristen Hubbard, Marvelous Middle Grade Monday, MG book reviews, Middle grade, Watch the Sky. Bookmark the permalink. This does sound different. And that’s a great idea to use it as a read aloud since it sounds like it has lots to discuss but could be difficult for kids to read. This does sound like a tough one, but it also sounds richly rewarding. It may not go on the top of my list, but it’s getting added all the same. Thanks for introducing me to it! Something unique! Yes. Thanks for telling us about this one. This does sound chilling! I’m doing the same a warrchick above. Should read “as warrchick above.” Oops! I hadn’t thought about this being better for a read-aloud than for a read-alone. Good idea. 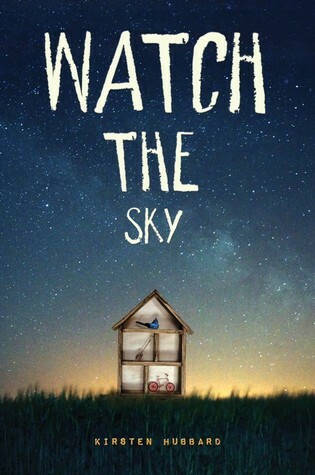 It is one of the most unusual MG books I’ve read, but I really liked it. Glad to see you passing the word along. I hadn’t heard of this one. It sounds rather disturbing but worth checking out. Thanks for sharing!